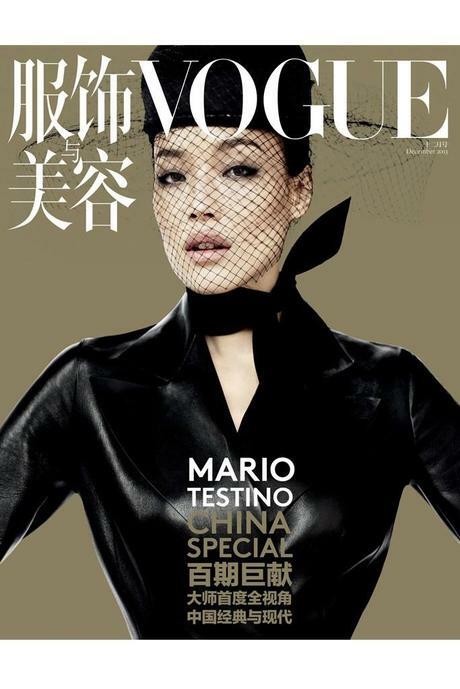 After 8 years on the market ,Vogue China celebrates its 100th issue with one of the greatest fashion photographer of our times, Mario Testino. 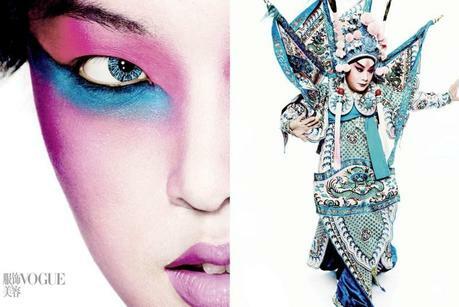 153 pages of beauty and trends shot exclusively for Vogue China by the photographer. On the cover of the magazine stars the Chinese actress Shu Q. “This is the sixth issue of Vogue that I have done [following Spanish, French, German and two issues of Brazilian Vogue] where I have not only photographed all the editorials but worked closely with the editor to direct and define all the content and the look of the issue. I don’t really see this as a challenge, though; I love the process of collaborating, and this process is the same for me here, just on a larger, more holistic scale,” Mario Testino said. 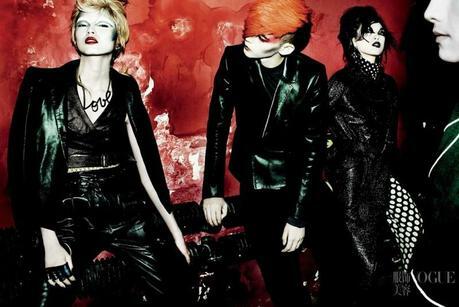 “I wanted to mix all the elements that I find interesting about China — the past, the present and the future,” said Testino. “Looking to the past, I photographed five Chinese opera singers from the Peking Opera and Kunqu Opera, and inspired by their makeup and traditional costumes, I photographed a beauty story alongside this on the model Tian Yi. I then mixed in the modern Chinese woman who is inspired by girls in the West today who carry small dogs, and instead of giving her a dog as a pet, I gave her an alligator. When I first researched China, I was also interested in the different religions and philosophy, and I really wanted to convey the spiritual woman — so for another shoot, I depicted a woman who is in touch with her spirituality.